Brighten up your home with this stunning antique French dining table. 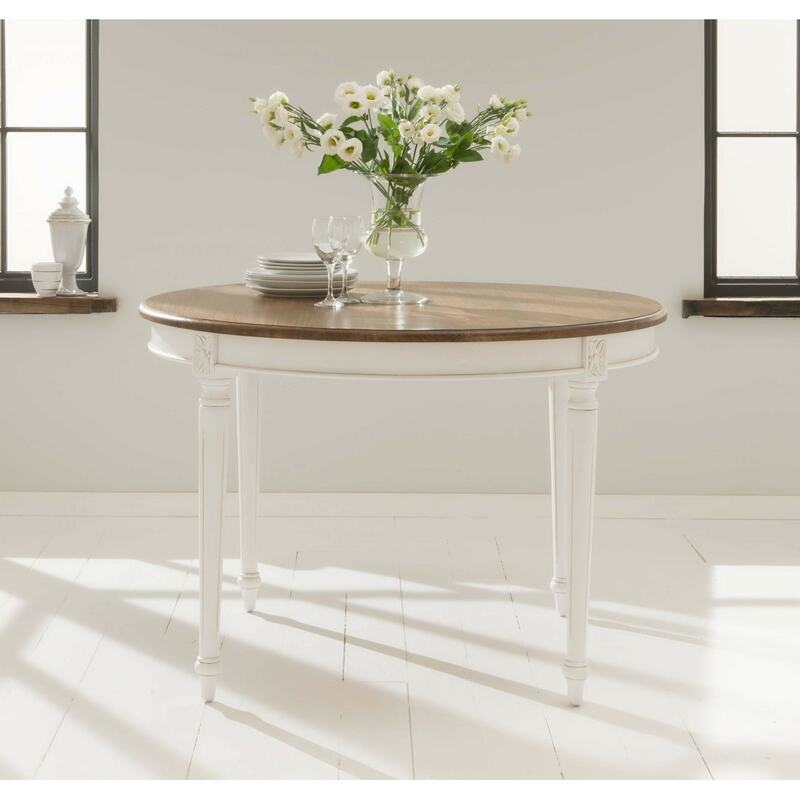 Handcrafted and carefully built by experts, this dining table featuring a mindi wood surface and antique white mahogany legs is sure to astound. Working exceptional either on its own or complimenting our range of shabby chic furniture.